BOWMANVILLE — The final piece of the puzzle clicks into place for Half Acre on Saturday when the beer company opens its Balmoral Tap Room & Garden to the public. 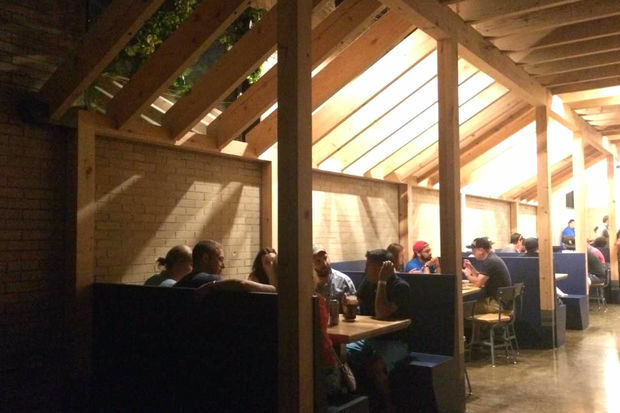 The long-awaited Balmoral Avenue taproom, restaurant and beer garden has been in the works since 2014, when Half Acre announced it would expand from its original base in North Center to a second, larger production facility in Bowmanville. 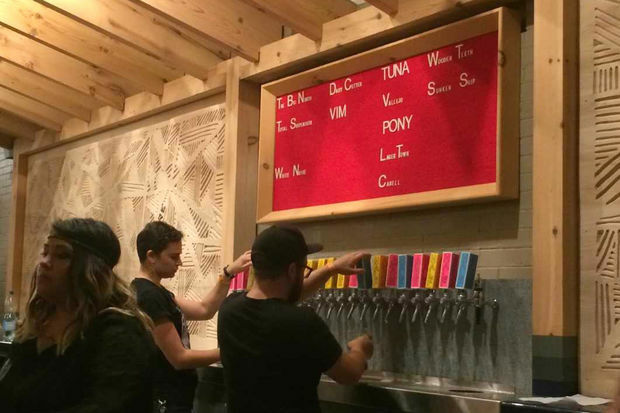 The majority of Half Acre's beer production shifted to Balmoral in 2015, but the taproom was slower coming, with permits finally granted in spring 2017. In a statement announcing the taproom's pending debut, Half Acre's owners said: "Opening our Balmoral brewery to guests is a giant moment for our brewery. Without a destination where people could come to experience this brewery, it never would’ve felt complete." 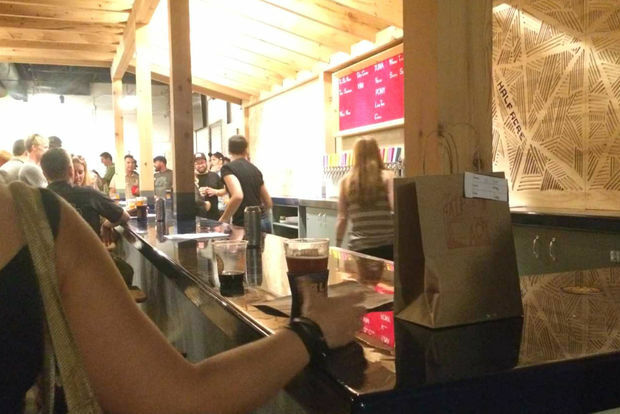 Information on the taproom's beer and food menus is still to come, owners said. 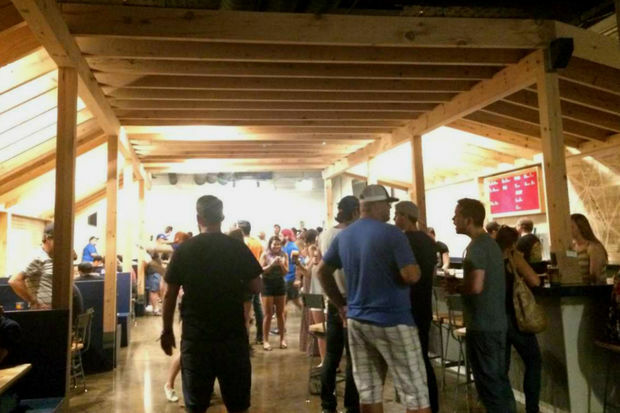 In August, attendees of the brewery's Big North bash in August got a sneak peek at the taproom and beer garden at 2050 W. Balmoral Ave. 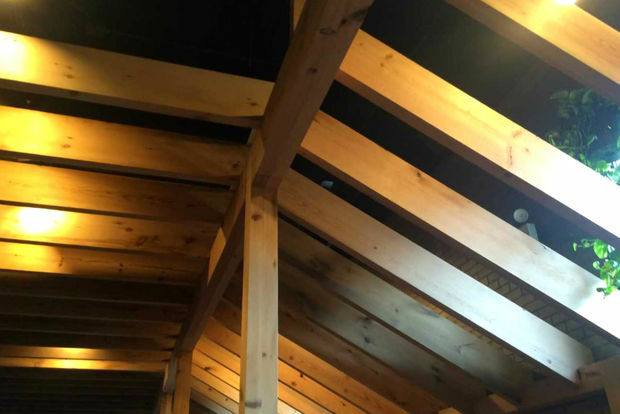 The taproom's focal point is a massive wood trellis, built in the brewery's on-site wood shop. 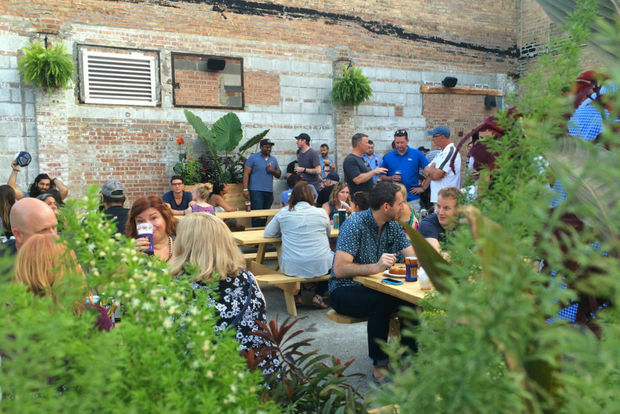 The Balmoral tap room and beer garden will be open Thursday through Sunday. Hours will be: 4 p.m. to 11 p.m. Thursday, 11 a.m. to midnight Friday and Saturday, and 11 a.m. to 10 p.m. Sunday. The kitchen will close an hour earlier each evening. The entrance to the tap room is through the brewery's parking lot on Rascher Avenue. Reservations are not accepted. Half Acre will also continue to operate its existing taproom in North Center, at 4257 N. Lincoln Ave.